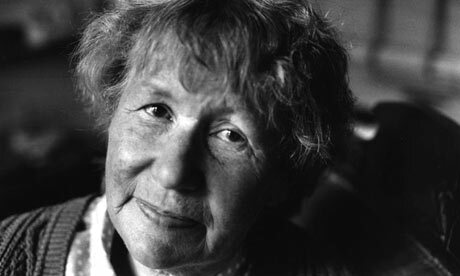 Charles Lambert: "Alight with interest"
A lovely - and loving - essay by Julian Barnes on Penelope Fitzgerald in today's Guardian. It's fascinating to see how casually she was treated by the literary world, as though she were the writing equivalent of Grandma Moses rather than the most astute, technically audacious and wide-ranging English novelist of the past fifty years. I think Barnes is mistaken to dismiss The Bookshop as one of the minor novels before the big four, but the essay is a pleasure to read and a useful amuse-bouche as we wait for the letters. The photograph is by Jane Bown. No- thanks for that: I will rush off to get hold of it, and pontificate later. I hope she isn't harsh, because the dame is another great heroine of mine. Now had a look at what Byatt says - and relieved to see that, eventually, she thinks PF a genius. Interesting image of the two of them in a musty staff room at a crammer.